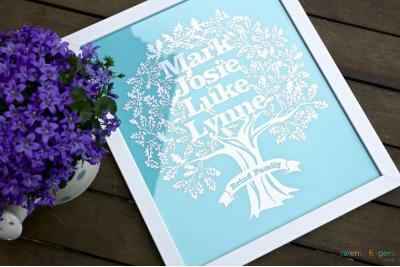 Let’s face it: finding a gift for any occasion that’s going to be cherished for the years to come can be a tough ask and if your presents are usually met with that tight smile of the forced ‘present face’ then it may be time to re-think your gifts giving. 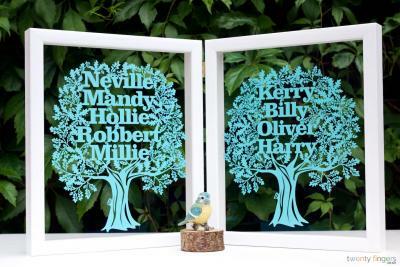 Thankfully you’ve just discovered the perfect selection of items for the family home – personalised papercut family trees picture frames. 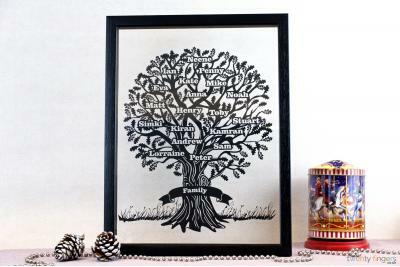 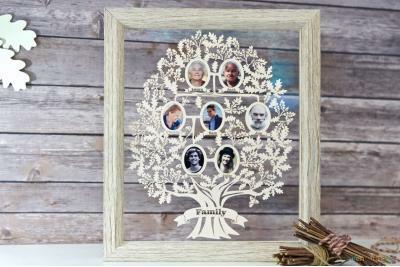 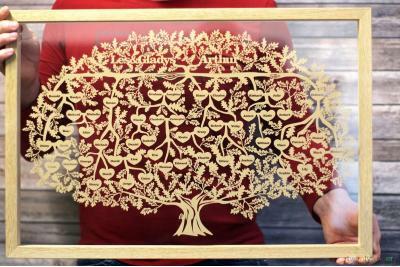 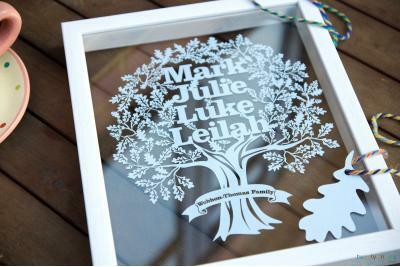 Each of our family tree papercuts can be personalised in a multitude of ways – from the papercut colour to the frame colour, and even including the type of glass, product size and message. 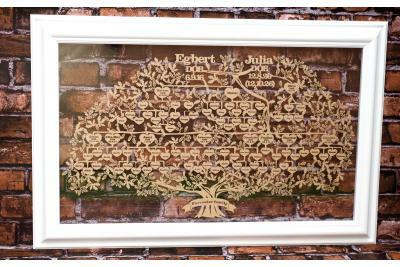 Now, we know that this is a whole lot of options – and if you need some inspiration as to colour and frame combinations you should simply take a look through our product images (and our team are always on hand if you have a question or query as to how you should personalise your gift). 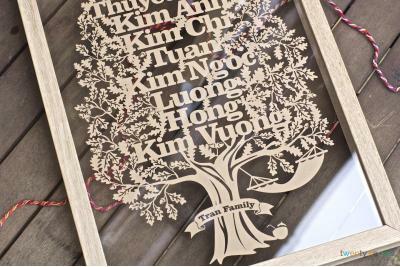 At Twenty Fingers – we’re a team of pet lovers and we understand just how much Fido or Felix can mean to the average family. 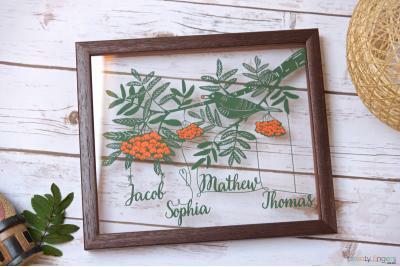 That’s why our art work can be customised even further to include the family pet (you can also add anything else you wish, such as butterflies, hearts, flowers and birds).